Back in February, I heard from my husband, Nick Clark, about the potential for a Newton Running Ambassador Team. Then, I noticed the application on Facebook to apply for the inaugural IRONMAN Foundation Newton Running Ambassador Triathlon team. It took me about a week to finish up the application process and another month until I received an official email stating that I was chosen to be part of the team. Being part of this team is quite an honor. We have more than 40 teammates from around North America with one common goal: to give back to the communities in which we are racing. Our team motto is kōkua, which means “extending loving, sacrificial help to others for their benefit, not for personal gain…” This sums up exactly what our team is all about. I wanted to be part of a team that wasn’t focused on PR’s, splits and power, although that is perfectly fine, I felt like this team was going to be more than just that. I love training, racing and being at different venues, but raising money for the different charities and community outreach programs for select IRONMAN races has been an amazing experience to be part of. I am fortunate enough to live in a great community. I have amazing friends and family all over the country who have supported this experience. I reached out to a local restaurant in Louisville, Colorado, Lucky Pie, where they support fundraising events. They were kind enough to allow me to host a silent auction social. We had wonderful local business who donated for the event, ranging from teeth whitening, local triathlon shop packages, to autographed Craig Alexander Newton Running visors. We also had representation from Newton Running, Ironman and IMF teammates. The monies raised by my teammates and I will go to local Henderson charities served by the IRONMAN Foundation at the IRONMAN World Championship 70.3: Coronado High School Band, Coronado High School, Clark County School District, Foothills High School, Student Council Getting 2 Tri Foundation, Grant a Gift Autism Foundation, Green Valley C.H.A.N.C.E., Green Valley Women’s Basketball, Green Valley Wrestling, Greenspun Junior High, Henderson Lacrosse Club, James Gibson Elementary, Nevada Children’s Cancer Foundation, Pinecrest Academy, SECTA Student Organization of Latinos and Somerset Academy of Las Vegas. I qualified back in September 2012 at Branson 70.3 for the IRONMAN 70.3 World Championships 2013. What a great set up for the year ahead. This made fun planning for upcoming races. 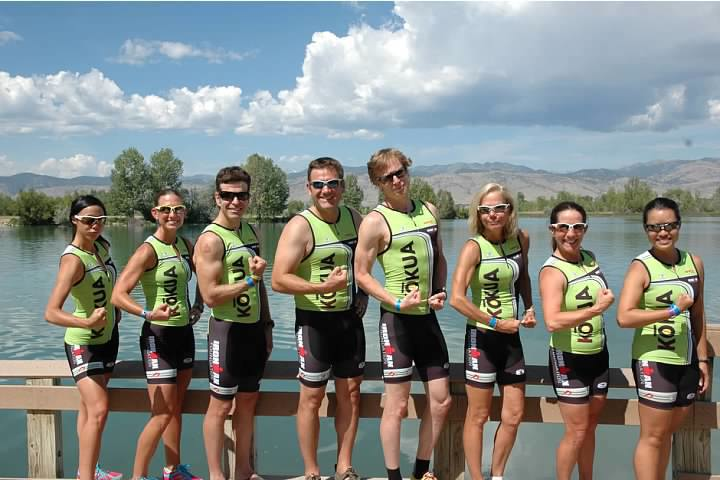 Leading up to Vegas, I raced the Boulder Tri Series and Kansas 70.3. I had the opportunity to race Vegas two years ago, while living in Florida. Now that I live in Colorado, with the ability to train at altitude and really knowing how to ride hills while also having the advantage of knowing what the course is like, I feel like I am a little more seasoned and prepared for a great race. I’m really looking forward to having fun, enjoying the weekend with family and friends coming to support me and meeting new teammates at our charity project.